Whether you are being bugged by bedbugs, ants or termites “GET RID”, being pestered by roaches, rodents or spiders, “GET RID” being attacked by wasps, fleas or ticks “GET RID” Accurid Pest Solutions Inc. provides its technicians with ongoing training in all the newest pest control technology to handle all of your pest control needs. 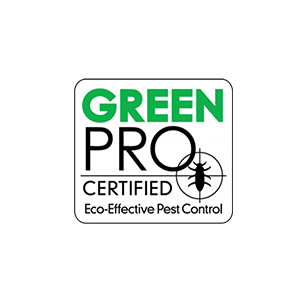 One Time Pest Service or Ongoing Maintenance, we have a pest program that fits your need. Bed Bugs – Small nocturnal insects that feed exclusively on blood. Bed Bug Infestations have reached Epidemic proportions across the United States. When selecting a pest control company to Get rid of your bed bugs you should select one that has had extensive training in bed bugs Not just general pest training. 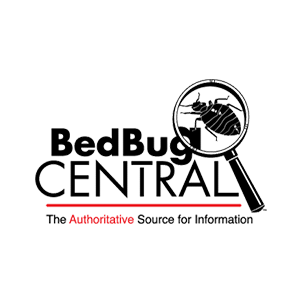 All of our technicians at Accurid Pest Solutions Inc. have been Trained under the methods at Bedbug University home of Bed Bug Central. They are our Industry’s top leader in bedbug education, training & Treatment. Accurid’s Bed Bug Program is laid out by Bed Bug University & is designed to bring total bed bug elimination To your home or office. 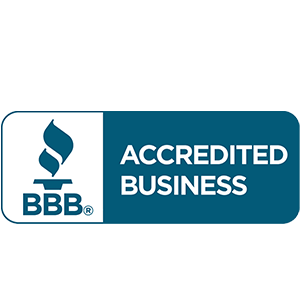 Accurid Is a Certified Bed Bug-Free Company By Bed Bug University. Ants – The most commonly reported insect. Most of their activity is outdoors although there are a Number of reasons they are drawn to our homes. Once in a home, they are likely to continue returning to previously infested structures. There are thousands of ant species although the 3 Likely to invade our homes are the Pavement, Odorous & Carpenter ant. Accurid Pest Solutions Inc. has developed a state of the art system geared to eliminating ant colonies in your home. Our system utilizes a combination of transferable chemical, bait & birth control for ants. Our Ant cleanout system comes with a 60 day. Termites – The termite species encountered in our region of the United States is the Eastern Subterranean Termites. The record shows that termites cause over 5 billion dollars of damage to homes across the United States, & there is an old saying in Virginia it’s not If you have termites but when your “going” to get them. Termites need a high moisture in Their environment for survival & many of the homes in Virginia are built on or around Wetlands or built just above the water table. 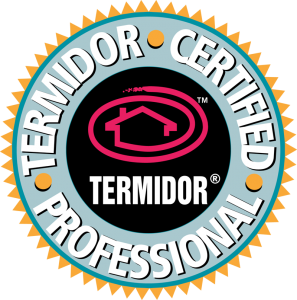 Accurid provides 2 state of the art methods Of termite protection for your home. Our Advanced Bait Station program protects your Home with a peace of mind as they are inspected Quarterly. Our liquid & dry termite Treatments offer faster termite elimination. *Ask about our 10-year warranty on liquid Treatments. Roaches – Cockroaches are common pests that infest homes & workplaces seeking food, warmth & Moisture. The most common cockroaches in our area are German roaches, Brown-banded Roaches, American roaches (water bugs), Oriental roaches & Surinam roaches. Accurid’s Roach clean out program consists of a qualified technician identifying which roach species You may have & utilizing a strategic baiting, liquid treatment, trapping & birth control Method in order to reach total roach elimination. Our roach clean out program comes With a 60-day warranty. Mice/Rats – Mice & Rats are generally nocturnal rodents which find refuge in our homes in search of Food, water & warmth. Accurid’s Mice & Rat clean out program consist of inspecting Your structure & droppings to determine mice or rat infestation. Our professional Technicians would then strategically install traps & or rodent bait in order to reach Total elimination of the mice & or rats. While most pest companies would stop here Accurid takes it a step further as our technicians would seek to find all possible rodent Entry points & seal these holes up. Spiders – They are arachnids & have 8 legs & 2 body parts. There are many species in our area including 2 very known venomous species, the black widow & brown recluse. Accurid’s Spider reduction Program consists of multiple treatment methods including chemical & traps. Our experienced Technicians will also remove all visible spider webs on the inside & around the exterior Perimeter foundation of your home. If Spiders are the primary pest you are experiencing we Recommend an ongoing maintenance program such as our Quarterly Pest Service program. Ticks – They are parasites that will attach to animals & humans for days at a time to feed on their Blood. There are many species of ticks in our area & most are capable of spreading disease. Although their natural habitat is the forest & other unmaintained lands they often find themselves on many lawns in Virginia. Accurid’s Tick Reduction consists of treating the yard up to the tree & or fence line of your property. Fleas – They are small biting insects that feed on cats & dogs & also known to bite humans. Accurid’s Flea cleanout program consist of treating all the rooms in the home, carpet & upholstered Furniture. While most pest companies will stop here Accurid’s specialized treatment includes Applying a birth control for fleas & installing traps to ensure total flea elimination. Silverfish – They are gray in color & are shaped like a flattened carrot. They live in very high humidity high moisture areas & tend to ear paper, paste & mold. They live for many years & can Go a year without feeding. Accurid’s Silver Fish Reduction focuses on treating for them Where they live & hide in the cracks & crevices of your home. Bees – The most common bees & stinging insects we encounter in this region are yellow jackets, wasps, Hornets, carpenter bees, ground bees & honey bees. Although we can’t treat for honey bees There are several management options. Accurid’s Stinging Insect program is quick & efficient & will have your home or office safe in no time.